At Grassroot Soccer, we spend a lot of time talking about The Three A’s: Assets (knowledge and skills) that adolescents need to live healthy and safe; the importance of Access to youth-friendly sexual and reproductive health services; and how crucial it is for youth to feel supported so that they can Adhere to medicines, therapy and healthy behaviors in the long term. We also talk about how engaging adolescents and promoting holistic programming would not be possible without strong partnerships at home, community and policy levels. The SKILLZ Plus program, designed for youth living with HIV, is a shining example of such collaboration. 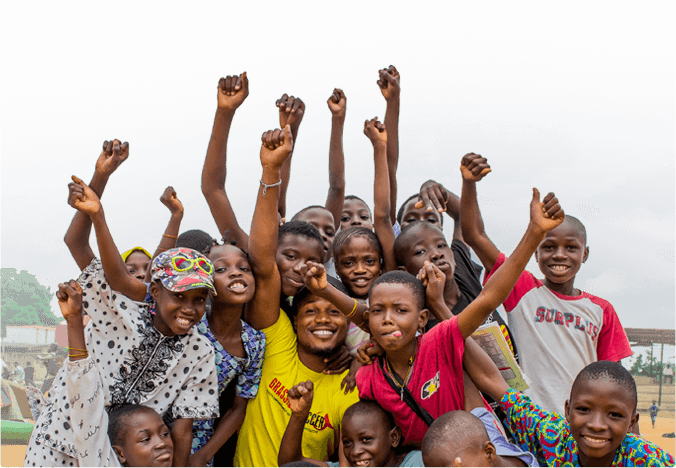 Supported by USAID Southern Africa and MAC AIDS Fund, SKILLZ Plus brings community organizations, schools, health clinics and families together with Grassroot Soccer Coaches and youth participants, to create a safe space where they share their experiences of living positively with HIV. This story was originally collected as part of a SKILLZ Plus case study for a DREAMS report. It has previously appeared on the Grassroot Soccer South Africa Facebook page in support of World AIDS Day and is shown in its original format. “When I found out that I was HIV-positive, it was very difficult for me. As time went on, I went to the hospital and found social workers who helped me through the process of acceptance. I understood that being HIV-positive is not a death sentence, and I started attending support group sessions. I started taking medication, but my viral load was very high and it was hard to take the medication. Every time I went to the clinic they would tell me that my CD4 count was high, but I didn’t understand what that meant. One day, I got sick with a bad headache, went to the hospital, and I was admitted. The social worker explained to me the reasons for my illness were related to my high viral load, and she told me to take my medication so that my CD4 count could be controlled. 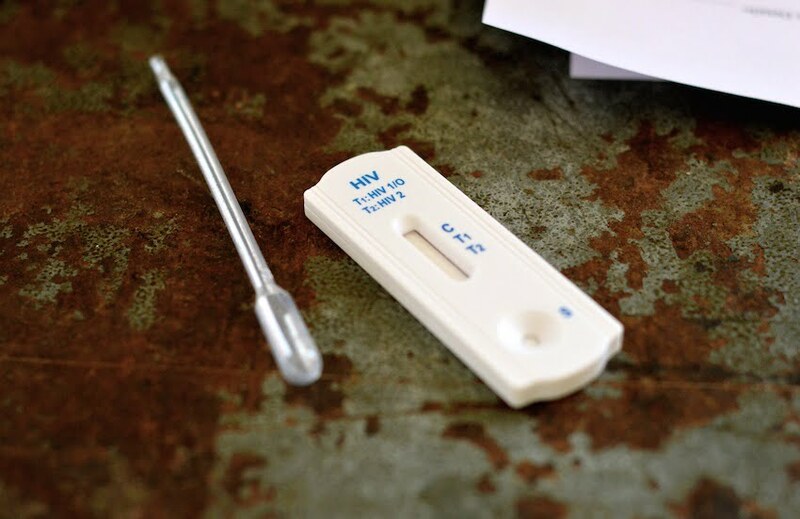 I got pregnant with my daughter and still continued to take my medication, but unfortunately when my daughter was three months old she tested positive for HIV. It was a difficult time for me and I kept asking, ‘Why my child! ?’ There were ten of us at the nursing home who were HIV-positive, and out of those only three of our children were infected. Of these three children, my daughter is the only one who has survived. I call her ‘my survivour,’ as from the beginning she was taking the syrup – and until now she is on ART (Anti-Retroviral Treatment). She is a healthy child. One day, on her way back from school she told me, ‘Mama, there is an organisation called Grassroot Soccer and they want to test us for HIV.’ She already knew her status, but she said that GRS would be hosting a testing event and she wanted to take part. I asked her if she was ready to get tested publicly, and she said she was as long as there would be a social worker present to talk with her about her status and medication. So, I signed the consent form for her to test. My daughter got tested, and as expected, her results came back HIV-positive. This is when she met with the Grassroot Soccer Care Coordinator in Soweto. She made my child’s life easier, and explained that the SKILLZ Plus programme recruits from age 13 but because Duma is ready and shows signs of maturity, she can join the sessions. She started attending the sessions every Wednesday, and since then she is able to communicate better and talk to me about everything – including things she is unhappy about. Duma says she is happy that whatever GRS speaks about during the SKILLZ Plus sessions, it all stays in the room with the group reminding each other that ‘a person from outside cannot tell that I am on medication or that I went to a session and why.’ She hopes that these programmes do not end, so that she can keep attending and also motivate others. Last week, she even surprised me when she spoke about her disease with other children at an HIV Testing and Counselling event, explaining how she started taking her ART pills. I never thought that one day my child would have such bravery to talk about HIV in public with other young people. She also told them how grateful she is to have me as her mother, and me for being there for her and raising her. *Names have been changed to protect the family’s confidentiality. If you believe that every young person should have the opportunity to write their own story and be more than just another statistic, please consider a gift to Grassroot Soccer today.